Christmas Day lunch for those alone at Christmas, book via link. Wednesday 19th Dec – Carols on Studlands, 7pm. Sunday 17th Dec – Christmas Guest Service, 10:20am The Stable. Parish Carol Service: Dec. 22nd 1900 in the parish centre. 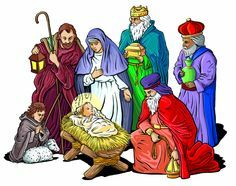 Children’s Christmas Mass: 24th December 1800 Children’s Mass (All welcome) Shepherds, Angels and Kings welcome with their families. All welcome. First Mass of Christmas: 24th December midnight- the beautiful Liturgy welcoming Our lord. December 25th – Christmas Day – 10am – Partnership Family Christmas Communion – All Saints, Kirtling. Sunday 31st December 3pm at St Nicholas Landwade – Carols by Candlelight.